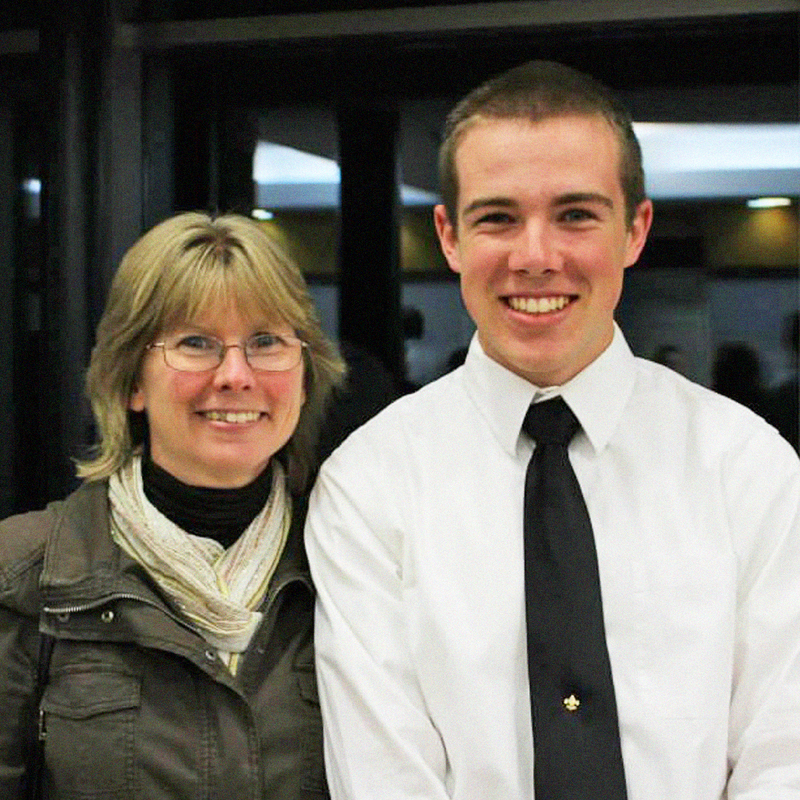 Brother Brian King (WPI) with his mother, Karen King, who passed away from ovarian cancer. On April 6th, the WPI Chapter of Phi Kappa Theta will be participating in the annual Relay for Life on the WPI campus. This is the biggest campus event every year and is especially important for the chapter because, when they were re-founded in 2007, the chapter brought this amazing event to campus. The event is also very special because one of the brothers, Brian King, lost his mother, Karen King, to ovarian cancer in his senior year of high school, and he has done an amazing effort by fundraising over $3,500 by himself. This year, the chapter has raised over $5,000 and are hoping to raise even more. People can donate to the chapters team through the link below. Outside of his training, Diesel's hobbies include eating, napping, and being ridiculously cute. It’s a bit early for new members (or in this case, Friars) to start the rush process, but Phi Kappa Theta welcomed a new fraternity brother the day before Commencement, and he immediately became part of the brotherhood—even if he’s the only one in the house who’s not allowed to sit on the couch. His name is Diesel, and he’s majoring in training to become a guide dog for the Guide Dog Foundation (with a double minor in taking naps and being ridiculously cute). The brothers of Phi Kappa Theta had regularly mentioned in passing that they’d like having a dog in the house, but for a long time, there was no initiative to come up with a viable solution to actually get one. eating, napping, and being ridiculously cute. Eventually, the idea of partnering with the Guide Dog Foundation to raise a guide dog puppy was brought up, and Scheide immediately latched onto it. The Foundation provides people who are blind or visually impaired with highly trained guide dogs free of charge, and operates almost entirely from donations and volunteer work, something Scheide says he and his brothers are honored to contribute to. Of course, it wasn’t a simple “ask and ye shall receive” situation—the Kap house is owned by the fraternity’s alumni association, known as Aquinas. Their lease initially forbade pets, but starting in September 2017, Scheide offered his first presentation to Aquinas and his brothers about the benefits of raising a puppy. Scheide left to complete his IQP in China a month later, but that didn’t slow the momentum—he continued to regularly call into Aquinas meetings to address insurance concerns, offer solutions, and reiterate positives—something, he says, the dedication of his Friar class built upon and drove forward as their way to benefit the chapter until, ultimately, they brought Diesel home with the unanimous approval of Aquinas. While Scheide acts as one of Diesel’s primary handlers to help lead the training, all of the brothers pitch in from day to day in the hopes that they’ll begin a legacy of sorts within the Guide Dog Foundation, where future brothers have the option of raising their own guide dog and creating a recurring tradition. It's easy to describe Diesel and how hard he's working to become the best guide dog he can be, but nothing beats seeing him in action for yourself. Over the course of the year that Diesel will be with the Kap brothers, he’ll learn basic obedience, house manners and most importantly socialization so that he’s comfortable and confident in any type of setting while being trained or eventually with his handler. Scheide will take him to Foundation puppy classes twice a month and to public places five days a week, train him to stay at his knee and walk on his left side, and help him eventually differentiate between when he’s working and when he’s able to be a regular dog. Diesel isn’t the only one learning during his time at the house—Scheide jokes that he’s had to train himself and his brothers just as much as Diesel. Once Diesel finishes his time with Phi Kappa Theta, he’ll move on to four to six months of training on Long Island, where it’ll ultimately be determined if he’ll become a guide dog, service dog, or take on a completely different role based on his strengths. Whatever Diesel ends up doing, the brothers will be invited to his graduation and get to meet his new owner. That bright spot will help lessen the blow of what Scheide considers to be one of the toughest parts of the gig: eventually having to let Diesel go. As hard as that will be, though, there’s no hesitation in Scheide’s voice when he explains that, like the individuals he’s met through the Foundation—one of whom has raised nearly 15 puppies and seen them off to their new owners—he wants to be able to make a difference in the lives of others.